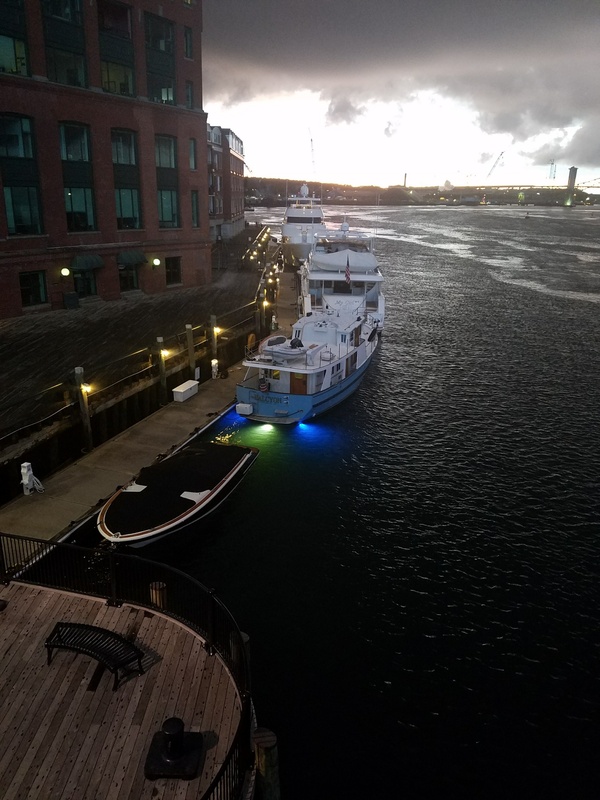 Welcome to our Beautiful Seacoast! 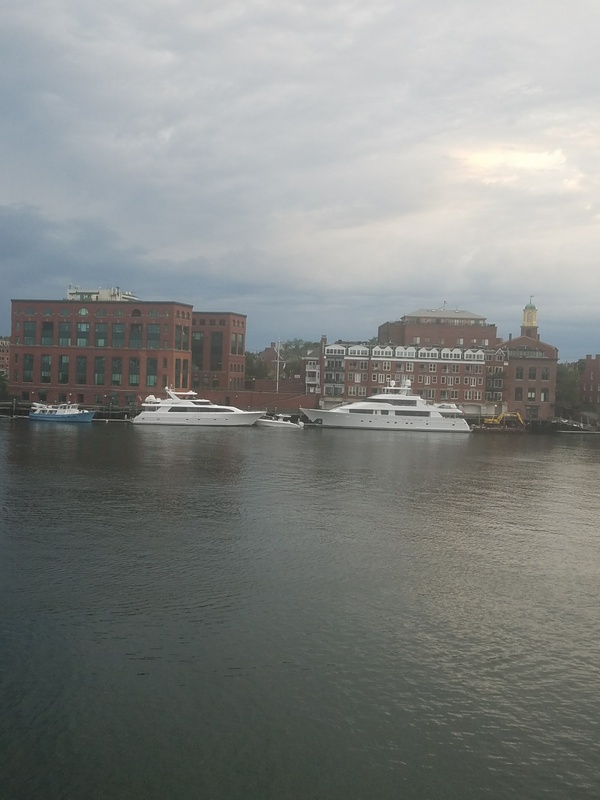 Portsmouth, New Hampshire on the Piscataqua River. Portsmouth is a great walking city and this location puts you at the heart of the waterfront. 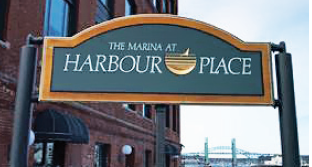 The marina docks lead right onto Bow Street in the city center which is truly a pleasure to visit. 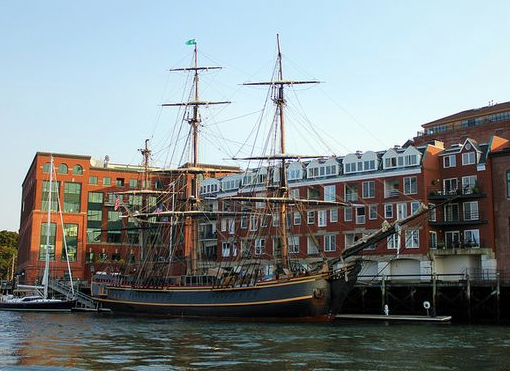 Downtown Portsmouth is rich with history, arts, entertainment and numerous restaurants and pubs.The city is a destination in and of itself. Your slip is a great place to watch the commercial ships and tugboats pass by as the sun sets over historic Badger’s Island, Maine’s southernmost point. 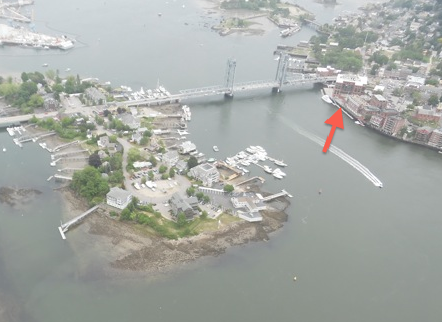 Marina at Harbour Place is just passed the new Memorial Bridge, which can be reached on VHF Channel 13, or wait for the preplanned opening every half hour during the daytime. Please note the current is strong here. But, it is parallel to the docks so if you just stem the current, even a beginner can make a perfect landing every time. For the easiest approach do not attempt to dock with a following current. If you are able, plan to arrive during slack tide. • Short walk to downtown and wonderfully charming amenities.